Center for Arts-Inspired Learning is proud to present the engaging workshops and mentorship of She Creates. Originally HER Ideas In Motion, established in 2010 by Rachel Wilkins Patel to raise awareness about the need to encourage girls to pursue 21st century digital careers, She Creates programs have impacted girls across Northeast Ohio by providing the opportunity to learn from women working in technology fields. CAL is now the home to these programs and workshops for girls in 5th-8th grades to explore robotics, coding, film making, and game design. Ready to get in motion? The 2018-19 session has ended. Stay tuned for information about next year’s She Creates workshops! And be sure to check out CAL’s 2019 Summer Camps for two camp sessions (May/June and July). 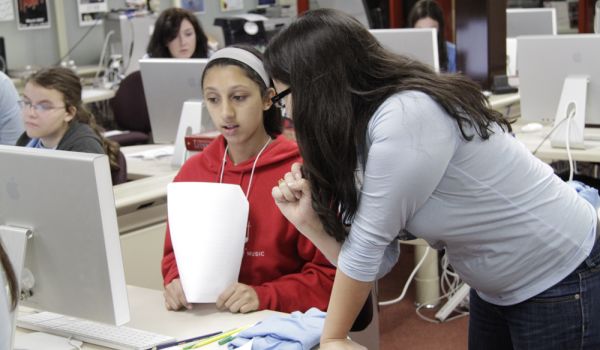 For a full list of CAL's STEAM and digital arts programs, explore our programs listings. Are you a web designer or programmer, game developer, or filmmaker? Would you be comfortable assisting students in a workshop setting? Do you want to help facilitate a workshop? If so, apply to be a mentor today by filling out this application, and send it to megan@arts-inspiredlearning.org!